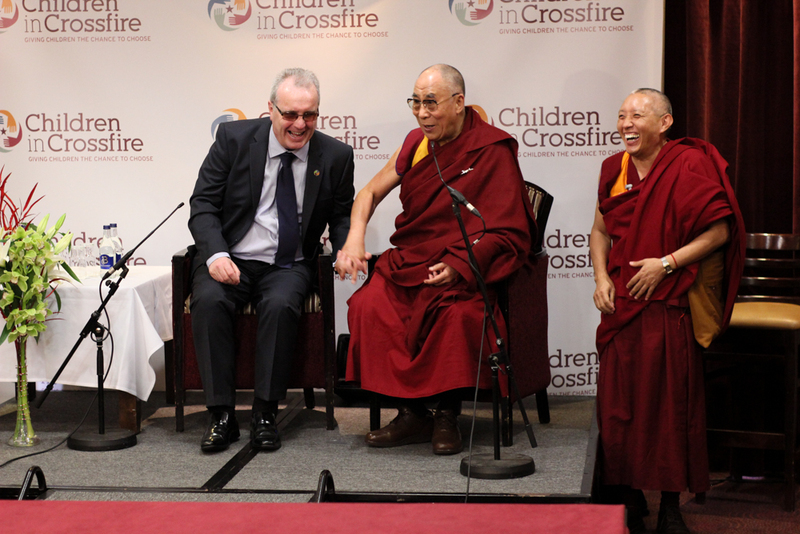 Home Tags Posts tagged with "HH Dalai Lama"
It’s always a pleasure to be in the same room as HH Dalai Lama, especially when he comes to Ireland to visit his good friend Richard Moore. 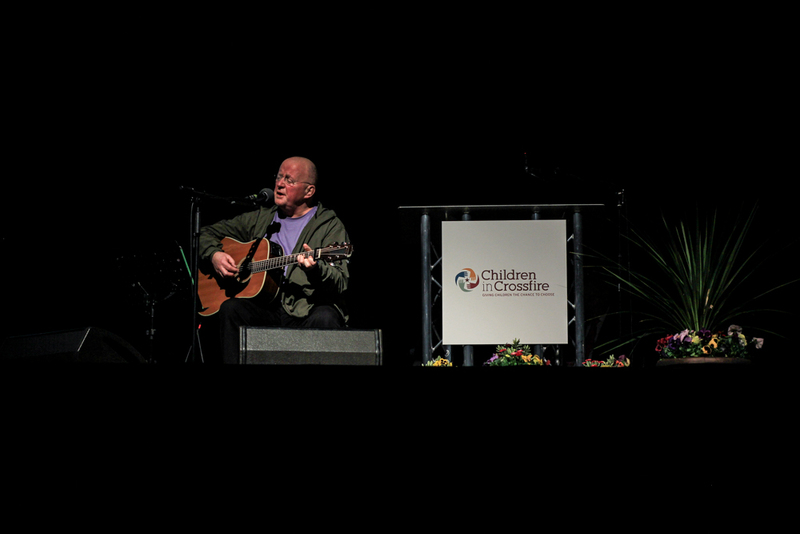 Moore, who was blinded by a soldier’s bullet when he was a child, became HH’s hero when he heard about how Richard actively chose to forgive the soldier and seek out his friendship. 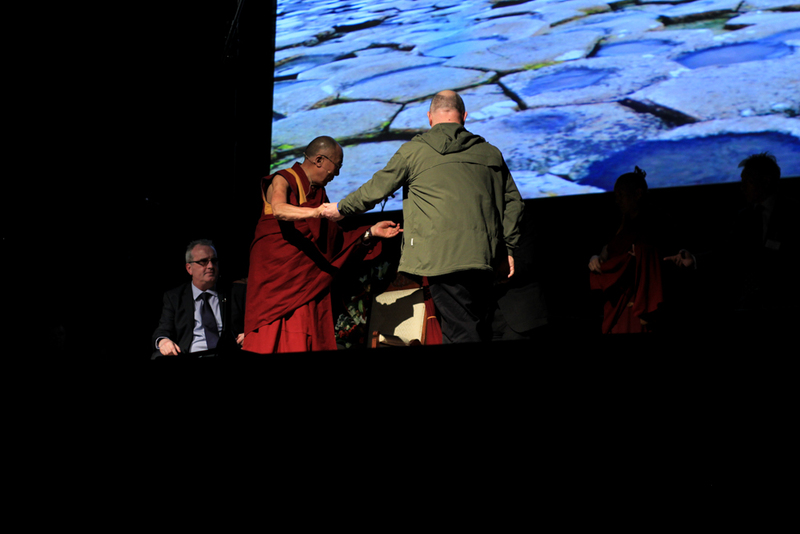 Today, HH Dalai Lama finally got to meet Richard’s mother, whom HH refers to as “Mother Hero”. 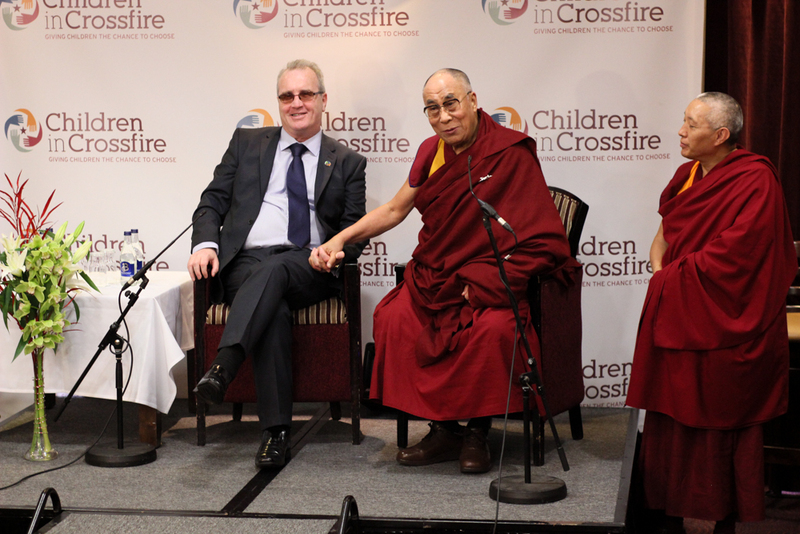 Always playful, HH snuck into the press conference unannounced so that he could get right up beside his blind friend before making himself known. 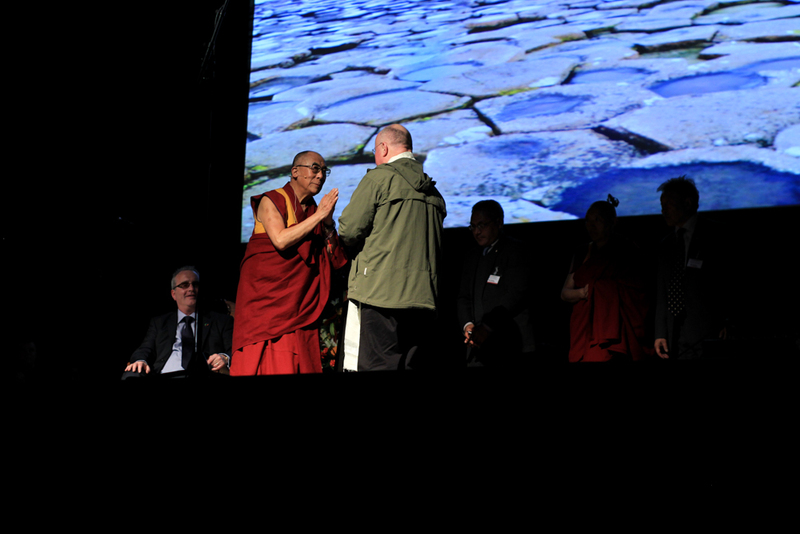 Visiting Derry (City of Culture 2013) for the Children in Crisis / Culture of Compassion event, HH Dalai Lama brought with him a message of peace, compassion, openness and hope for the future based on the children of today. 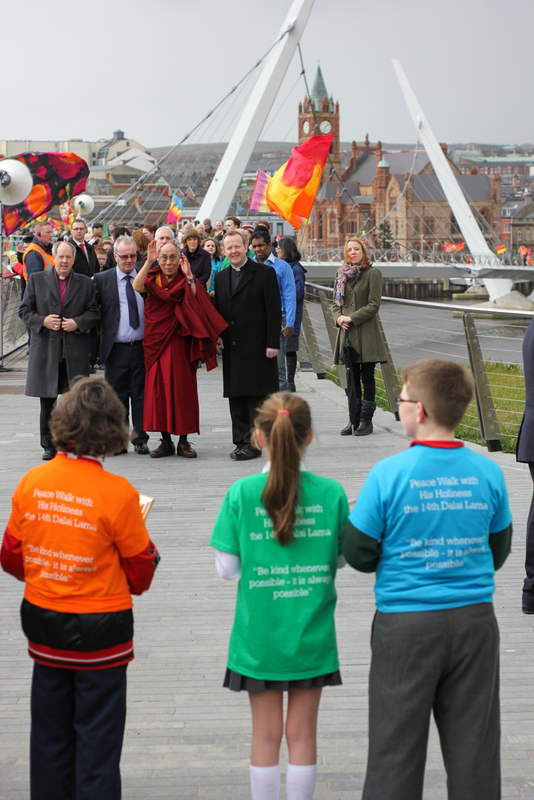 300 of which joined him in his walk across the Peace Bridge, where he was met by 3 other award winning children of the future. 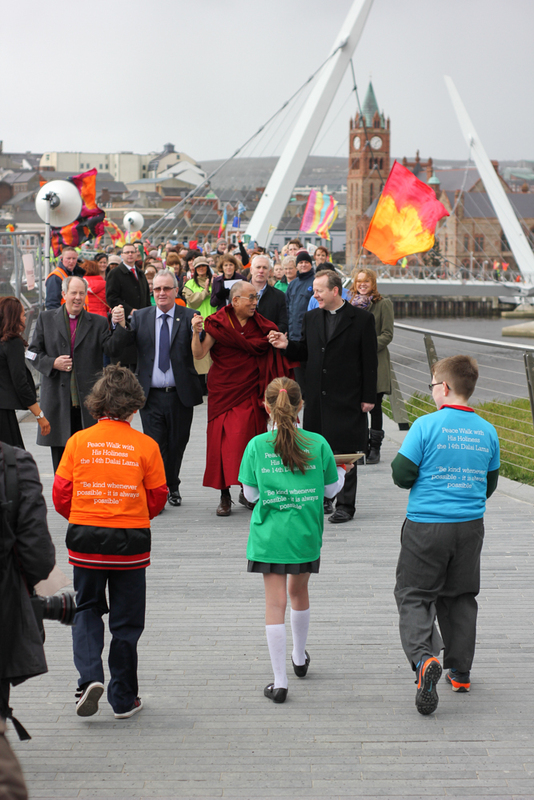 Amazingly, the sun shined brightly for the duration of his walk across the bridge, only for the heavens to open when he reached the other side (symbolic?). 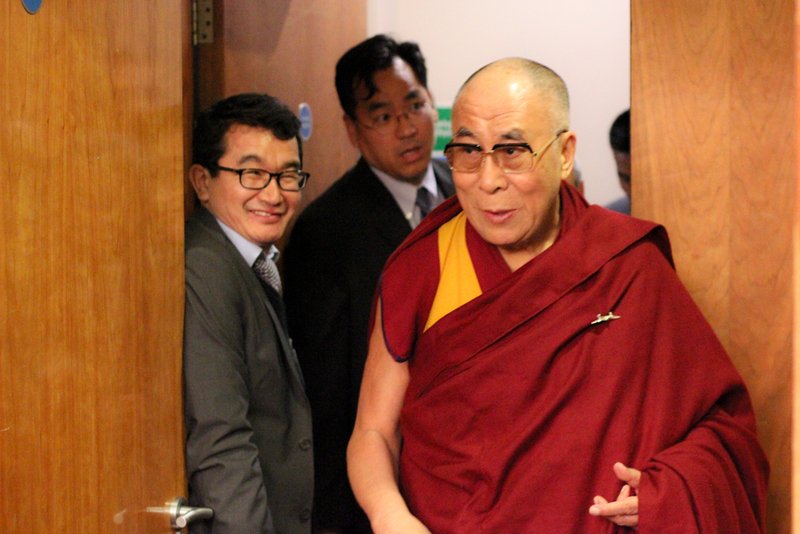 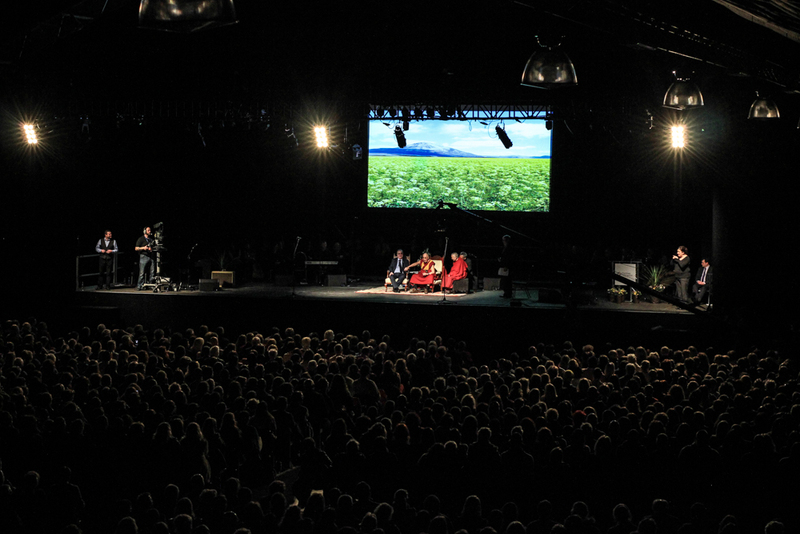 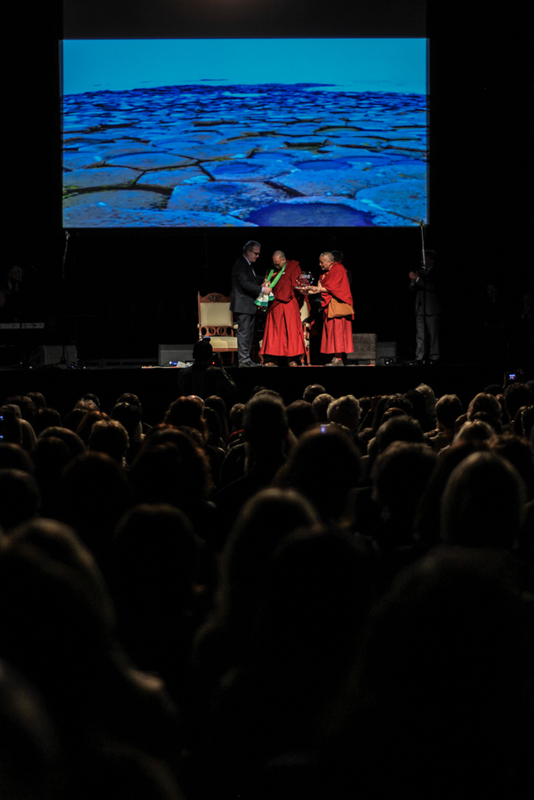 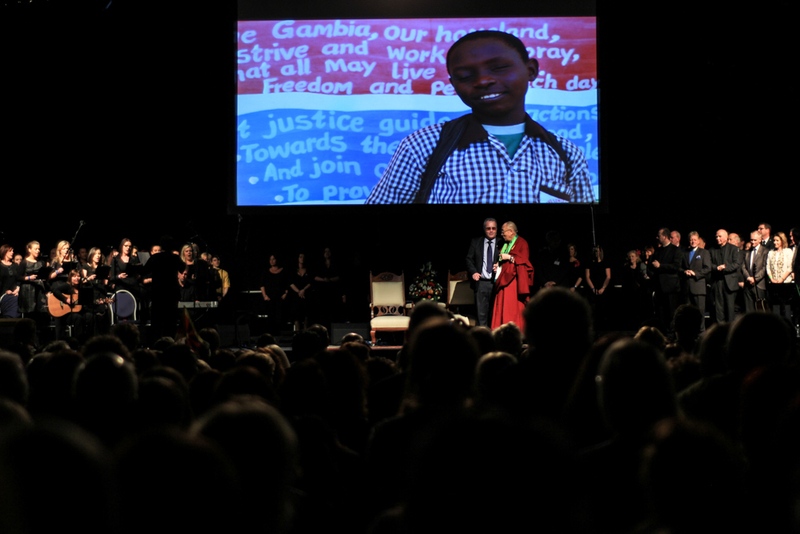 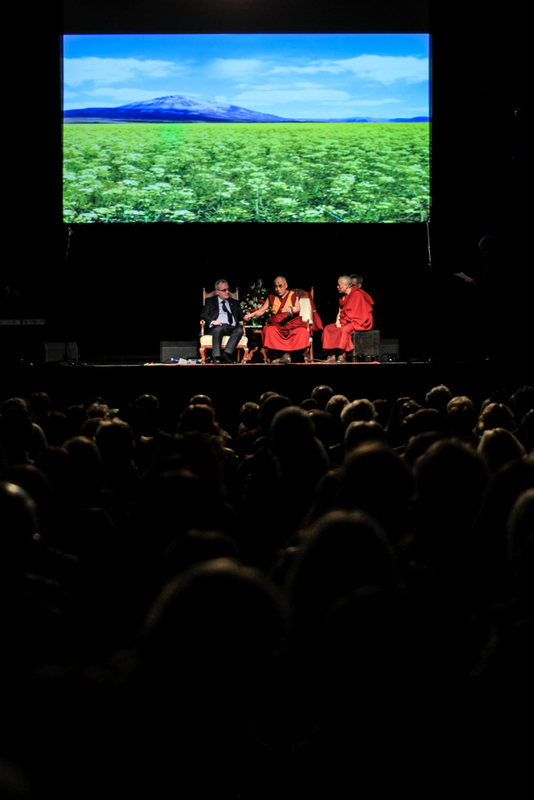 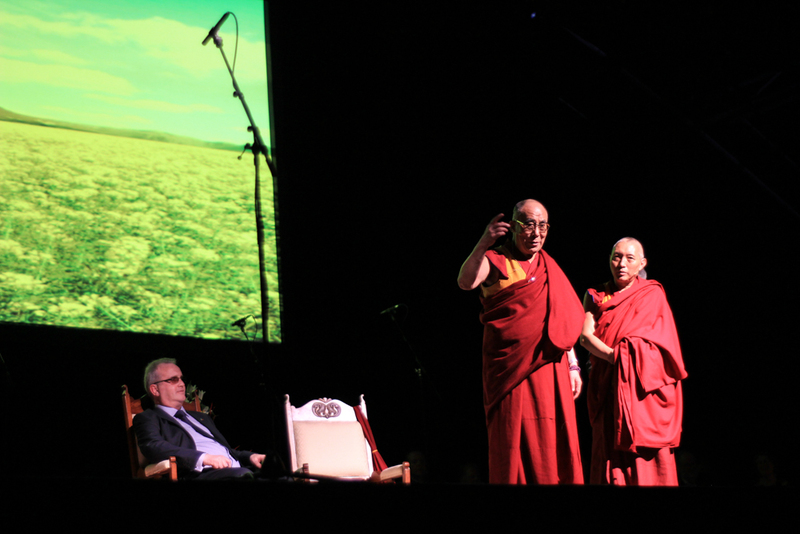 In The Venue 2013, around 1,000 people gathered to hear HH’s message, with awards being given to shining lights in Derry’s community, and special musical guests such as Christy Moore, who received an honorary sash and blessing from HH Dalai Lama.